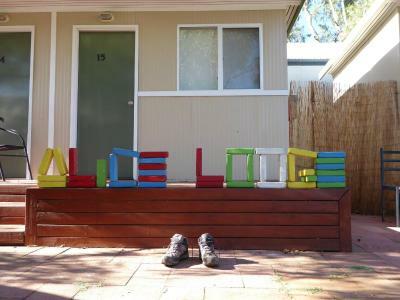 Lock in a great price for Alice Lodge Backpackers – rated 8.1 by recent guests! 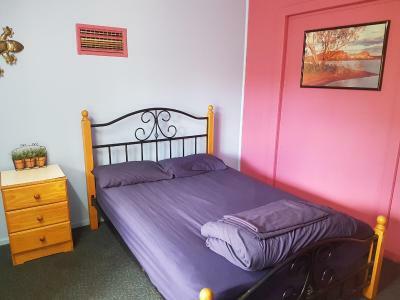 The kitchen was clean, the bathrooms were quite big and clean as well, there were plenty opportunities to hang around (pool, chairs and tables), it was close to the city centre (10min walk to Woolworth) and the staff was really nice. A bonus was that we could put our luggage in a locker room while we went on a 3d-campingtrip and it was really easy to pick it up afterwards. Loved the atmosphere and vibe. Staff were all very accommodating and friendly. Having a pool was defiantly a highlight. Great for backpackers. The kitchen and fridge are very well equipped and clean. Staff is super friendly. 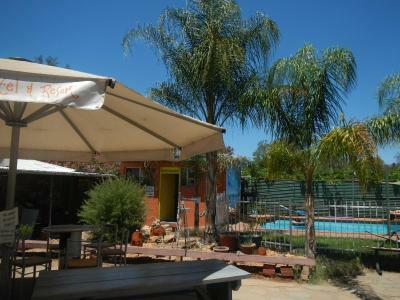 Easy check in & out, walking distance to town (10 mins), good to do laundry(machines accepts coins) with clothes line.. 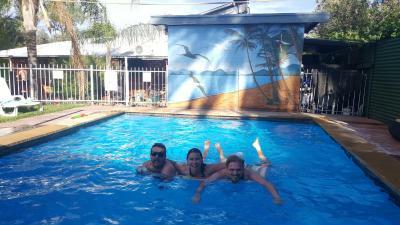 This hostel has a pool too, although we didn't swim. Funky fun place - felt like being in Margaritaville (sp). Staff was great. Main "central square" outside with music going until late eve. Rooms, central kitchen, and bathrooms surround. Very laid back. The ambient was nice, chilled, very quiet. Good place to rest, not a party hostel. Staff was super friendly and helpful. Room was a hostel room. 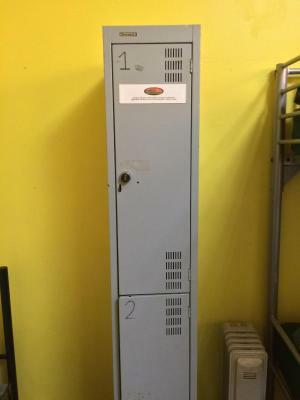 Locker that locked and big enoifh dor a back pack. Close to town 5-10 min walk to shops. Nice kitchen. Clean bathrooms. 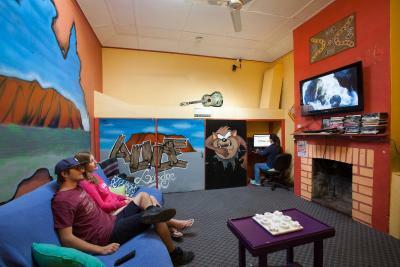 Nice cosy place with friendly staff, 10 minutes by foot from Todd Street, good vibes with the other backpackers. Super friendly and helpful staff. They let you keep stuff while on tour at Uluru. Clean showers kitchen and bath. Comfy beds. Friendly travelers. Laundry. Close to town center, 5 min walk. 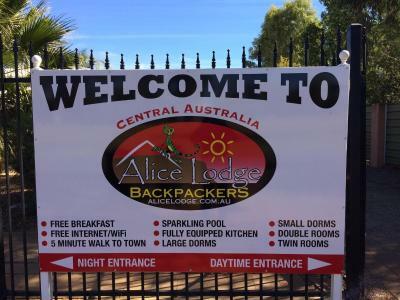 Alice Lodge Backpackers This rating is a reflection of how the property compares to the industry standard when it comes to price, facilities and services available. It's based on a self-evaluation by the property. Use this rating to help choose your stay! 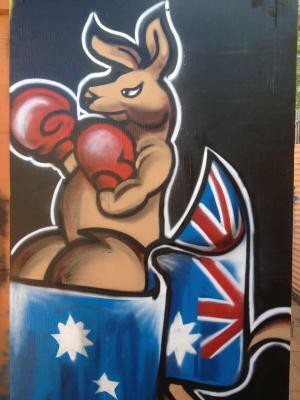 One of our best sellers in Alice Springs! Just 10 minutes’ walk from Alice Springs town center, this hostel features free Wi-Fi and an outdoor swimming pool. 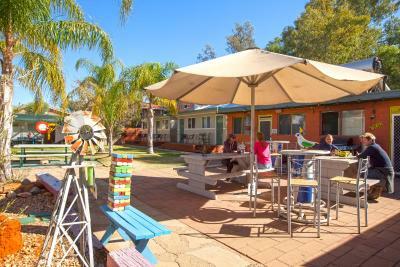 Facilities at Alice Lodge Backpackers include a fully equipped shared kitchen, barbecue area, TV lounge room and a shared laundry. Guests have access to a safety deposit box and free luggage storage. 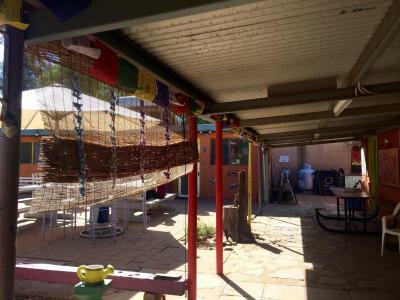 Alice Lodge Backpackers Alice Springs offers a choice of dormitory and private rooms. Each room includes air conditioning and a refrigerator. Breakfast is included. Access to the internet kiosk is free. 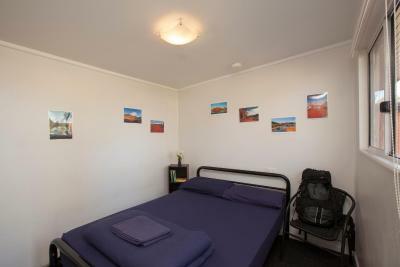 The tour desk can arrange sunset camel rides and trips to Uluru (Ayers Rock), and camping tours. 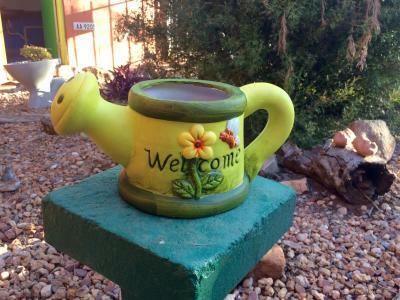 Alice Springs Reptile Center is a 5-minute drive away. 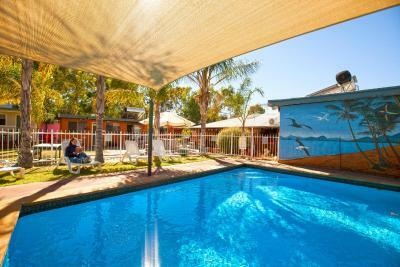 It is 20 minutes’ drive to Alice Springs Airport. 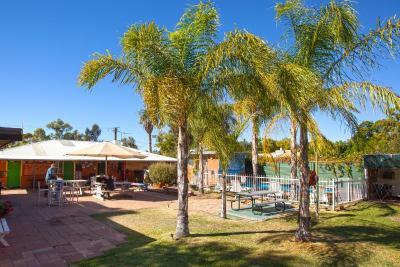 This property is also rated for the best value in Alice Springs! Guests are getting more for their money when compared to other properties in this city. 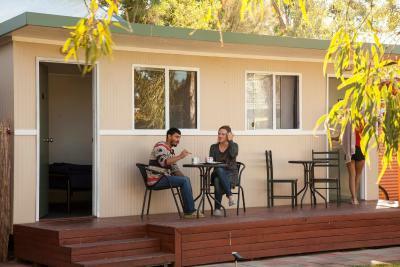 When would you like to stay at Alice Lodge Backpackers? 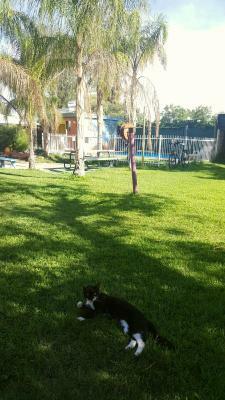 Includes air conditioning, fan, heater, large refrigerator and secure lockers. All linen is provided. 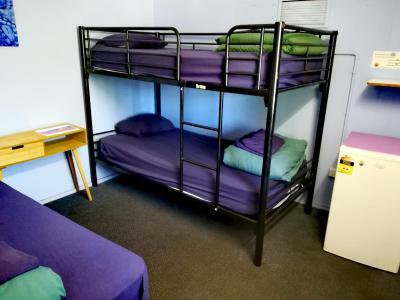 Female-only dormitory room with air conditioning, fan, heater, large refrigerator and secure lockers. All linen is provided. Private room with air conditioning, fan, heater, large refrigerator and secure lockers. All linen is provided. Large private room with air conditioning, fan, heater, large refrigerator and secure lockers. All linen is provided. 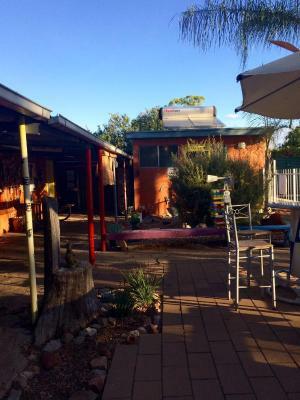 House Rules Alice Lodge Backpackers takes special requests – add in the next step! 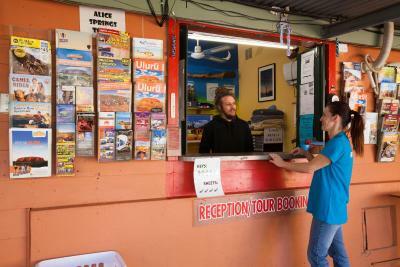 Alice Lodge Backpackers accepts these cards and reserves the right to temporarily hold an amount prior to arrival. Clean, cozy, secure, nice and quiet. Loved the deck and personal outdoor table and chairs that my room had. No storage space in kitchen, all the available spaces were taken already. Kitchen small. They turn aircon off at 8pm until 8am. So it's on all day when there's no one in the room but off at night. I got hot at night. Bedroom door creaked whenever opened during the night. Walls very thin so could hear the TV in the bedroom. Single bed, not bunk and only 3 in the room. Small bar fridge with small freezer in the room appreciated. Ceiling fan in room is great. It's a bit noisy though. Staff friendly. Quiet part of town. Resident cat. Location. Walk to town would be very uncomfortable in the heat. Pool was perfect! Had all the necessities. Cannot think of anything in particular. I enjoyed my stay. I was impressed that the visitors kept the kitchen tidy. Some hostels fall down on this point. I loved everything about my stay. The staff were friendly and helpful and the accommodation was in an excellent location, safe and secure and was clean and comfortable. The aircon didn't work in the dormitories and it got really hot and sticky inside. Free complimentary breakfast. Very friendly and helpful staff. Good value for money. For the price you get a lot here - we had a private double room with a fridge and air con. The kitchen has oven, grill, stove, kettle, toaster and lots of utensils and pots and pan to use, plus there’s a very cheap laundry which was a saviour for us.